Click on start, and the words of the song will show up in sequence to the background music. 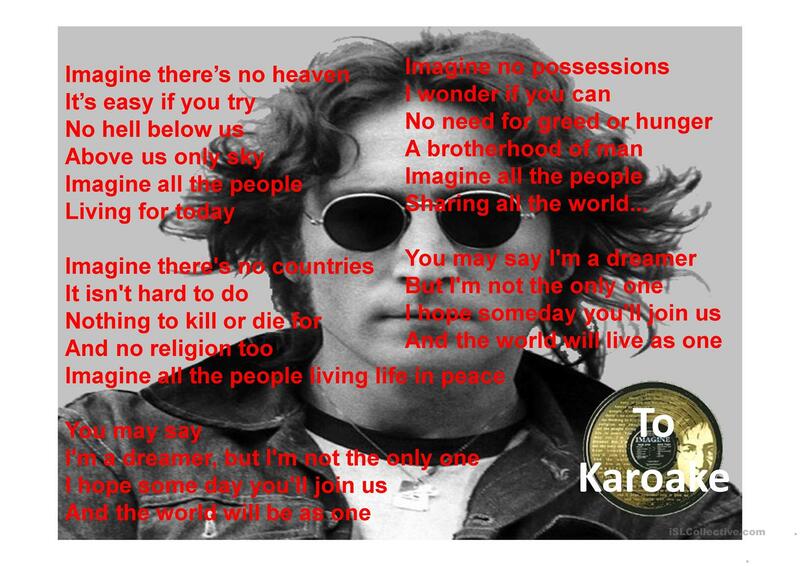 Click on lyrics to view the lyrics of he song, "Imagine" by John Lennon. Great for kids to learn English. This downloadable handout is recommended for high school students, elementary school students and adults at Pre-intermediate (A2), Intermediate (B1) and Upper-intermediate (B2) level. 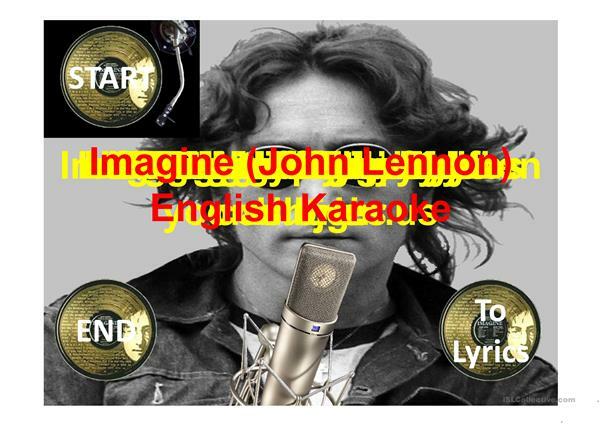 It can be used for improving your learners' Speaking skills.